After nearly two years in full operation, the Mueller Report, Special Counsel Robert Mueller’s report on whether there was any collusion between President Trump’s 2016 presidential campaign and Russia has been completed. Mueller handed in the report to the Attorney General William Barr on March 22. Two associates of the president, Paul Manafort and Roger Stone, will soon know their punishments based on the findings in this investigation. Manafort has since been sentenced to prison for seven and a half years for a host of federal crimes, including tax evasion. Roger Stone’s punishment of obstructing justice, and lying to Congress will reportedly have his prison sentence determined by a specific unit in the Justice Department. Two other Trump associates, Michael Flynn and Rick Gates, will provide status reports to the Special Counsel, that are relevant to the investigation. Flynn and Gates have been key cooperators throughout the investigation. Flynn is reportedly done cooperating with the special counsel, while Gates and his legal team are still deciding if they want to assist with the House Judiciary Committee probe which is in the middle of a broad investigation of improper actions by President Trump. According to the special counsel regulations laid out by the Justice Department, the head of the special counsel must submit a confidential report to the Attorney General after the investigation is complete. This report details what crimes were committed, and most importantly, who committed them. The report would also outline what prosecution decisions that the special counsel has made throughout the investigation. Once the attorney general receives this report from the special counsel, then they have to submit a summary of the special counsel’s work to Congress. With the Special Counsel investigation now completed, the big question and the vendetta of this topic is should Mueller’s full, final report on the Russia investigation be made public or not? Lawmakers from both parties have advocated for the release of the special counsel’s final report. Democrats in the House of Representatives are planning to bring up a resolution that would encourage the Justice Department to make the special counsel’s findings public. The resolution cites the “overwhelming public interest” in Special Counsel’s Mueller’s findings in this investigation. The House has since overwhelmingly passed the resolution saying the report should be released publicly. Even members of the Republican Party who believe that there was no conspiracy between members of the 2016 Trump campaign and Russian operatives have supported the Democrats calls for making the final report public. There has also been some polling that reinforces the fact that the public wants this final report on the Russia investigation to be made available to them. 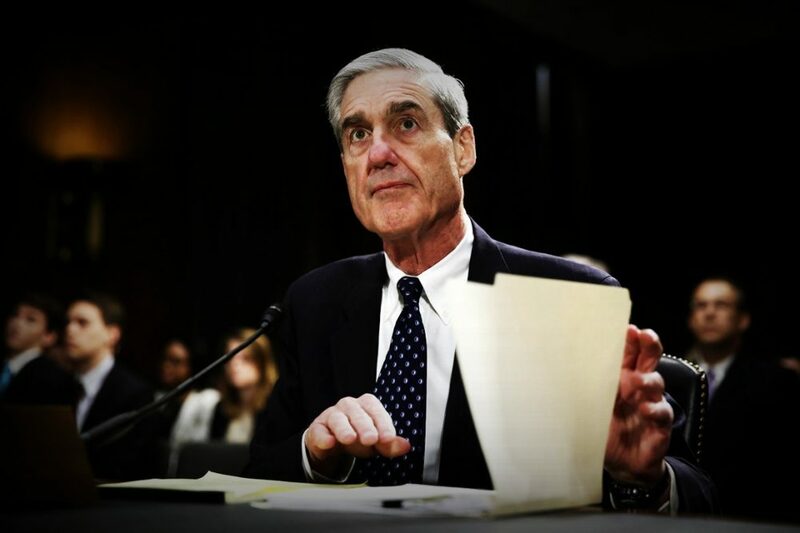 According to a poll conducted by the political news site Politico and the online survey technology company Morning Consult, 68% of the American public supports the public release of Mueller’s final report. The poll also noted that those in favor of releasing the report has broad support from people who identify with both political parties. 79% of Democrats were in favor, and 59% of Republicans were in favor of this move as well. This poll gives a good snapshot into how the public seems to be in total agreement on having the Justice Department be fully transparent in releasing this report in its entirety to Congress and the public. The only argument that I would see forming against the release of the Mueller report is the fear that any sensitive information about US national security is present in the report. That may be the reason why the Justice Department is hesitant to make the report public. Robert Mueller’s final report on the Russia investigation has been highly anticipated around the country, and around the world, ever since Mueller started working on the investigation. The world should be able to know to what extent did the Russians interfere in the 2016 presidential election, and how involved were the associates to President Trump in this scandal. The main question out of all of this is did President Trump know that people close to him were helping with the Russian election interference and whether he used any tactics to obstruct Special Counsel Mueller’s investigation. These are the central questions of this critical investigation, and I agree with the majority of lawmakers and the public that we should see the final draft of the report in full. Attorney General William Barr should honor the country’s request, and release the full report to Congress and the American public. After the submission of Mueller’s report, lawmakers from both parties have stated that not only should Attorney General’s Barr’s summary of the report be made public, but Mueller’s whole report on the investigation should be public as well. This shows that there’s a rare bipartisan consensus on this vital issue. Attorney General Barr releases the full report for Congress and the public to see. Barr releases the report with significant parts of it redacted. Again, my take is that Attorney General Barr should release the Special Counsel’s report on the Russia investigation for Congress and the American public to see. I think that’s it’s in the public’s best interest that this action is implemented. I believe that lawmakers and supporters of both parties can wholeheartedly agree on this.